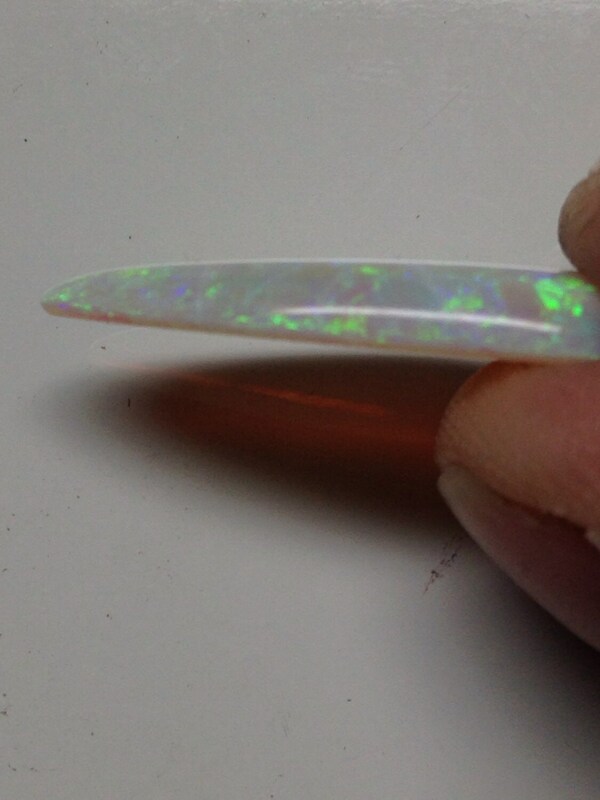 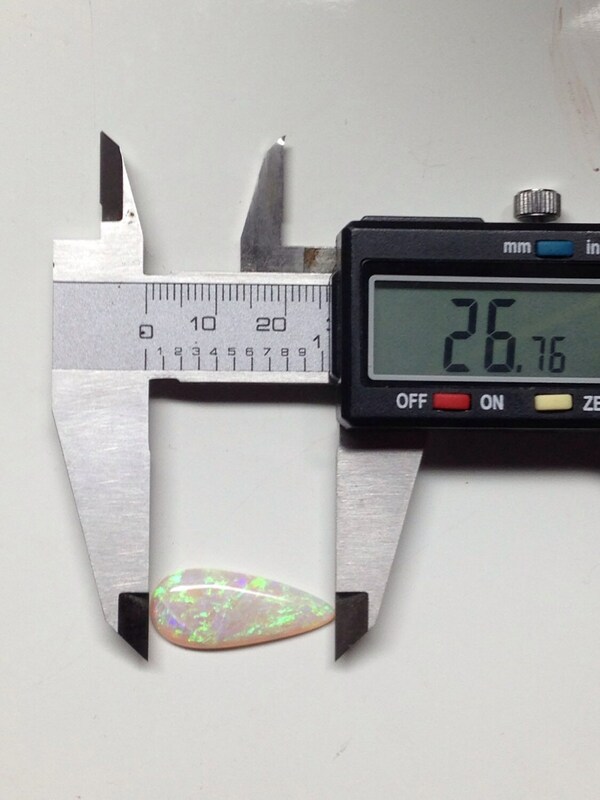 Offered here is an Australian opal teardrop cabochon weighing about 7.5 carats. 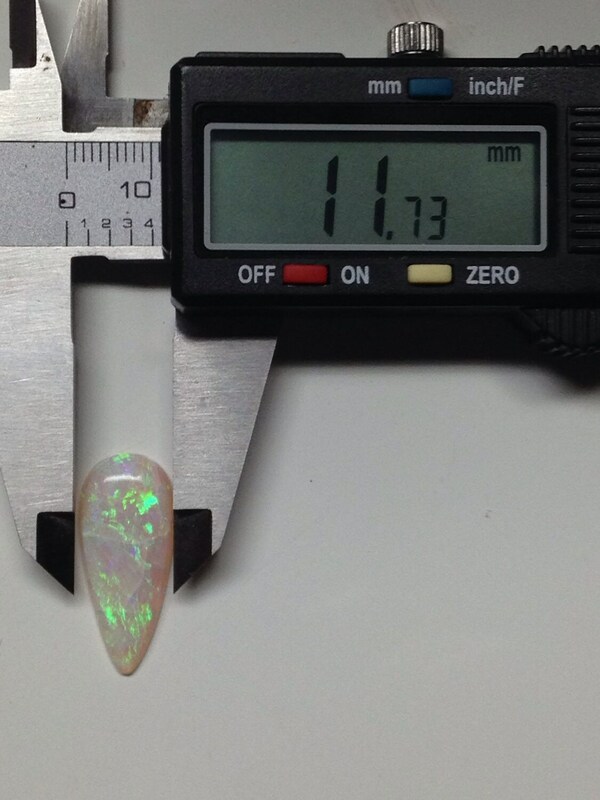 This stone is 11.75mm x 26.75mm. 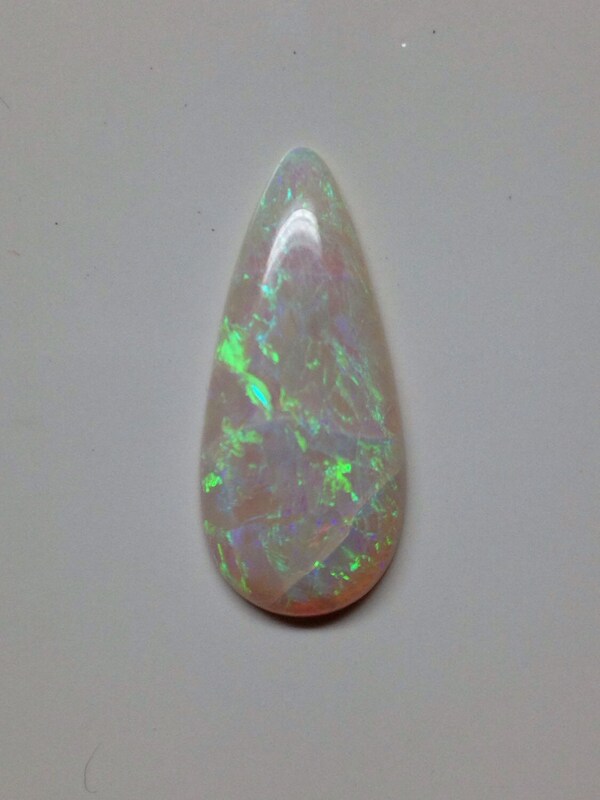 Stone is gorgeous with green and blue fire. 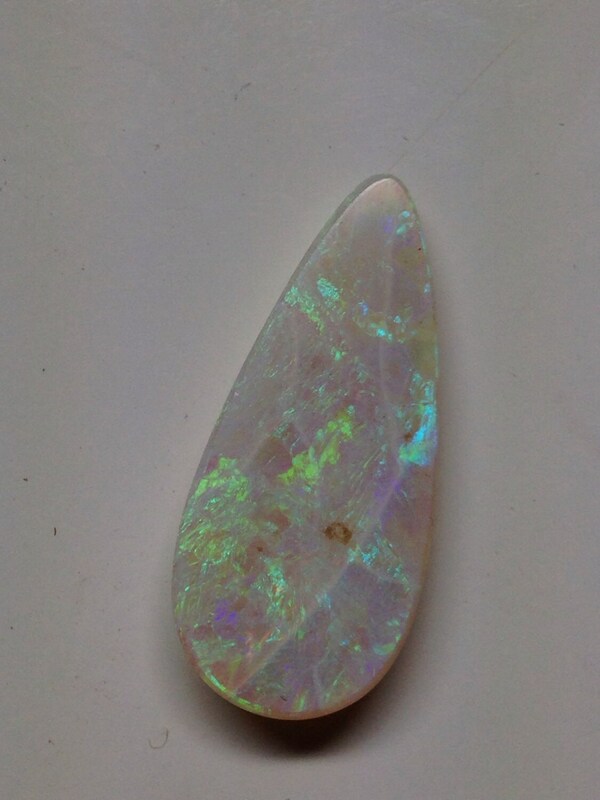 Note that the stone has crazing and its stability is therefore not known.